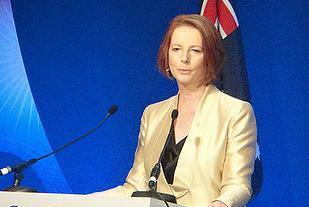 Gillard’s minority Labor government won the historic vote in the Senate 36 to 32 with the support of the Greens. 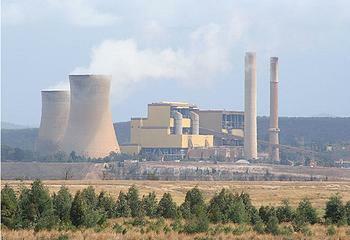 The lower house of Parliament approved the Clean Energy package on October 12. Minister for Climate Change and Energy Efficiency Greg Combet said the carbon price mechanism would apply to some 500 of the country’s biggest polluters. “It is a charge on pollution, not a tax on households or small businesses,” he said. A fixed carbon price of A$23 a metric tonne will apply from July 1, 2012, moving to a flexible price after three years. For the first time, Australia’s biggest polluters will have to pay for every tonne of carbon pollution they emit. The Clean Energy package is expected to cut carbon pollution by at least 160 million tonnes a year in 2020 – the equivalent of taking 45 million cars off the road. There are currently only 15.7 million vehicles on the roads in this country of 22.75 million people, according to the Australian Bureau of Statistics. “We will do this by putting a price on pollution, fostering renewable energy technologies, encouraging energy efficiency and creating opportunities to reduce pollution on the land,” the Prime Minister said. “This is a vote for Australian householders, economic planners and ecologically sound business, as well as the Great Barrier Reef, Ningaloo, the Murray Darling Basin and 700,000 property owners on our coastal margins,” Senator Brown said, referring to the fact that climate change is causing glaciers to melt and sea levels to rise. “Laying this foundation stone means it is the beginning of building a clean, zero carbon economy and seizing the opportunities of creating jobs and investment and putting our economy on a 21st century track,” said Milne. The legislation will deliver tax cuts and increases to household payments and pensions for millions of Australians, and a clean energy economy with new economic opportunities and clean energy jobs, said Prime Minister Gillard. Nine out of 10 households will receive compensation from a combination of tax cuts and increases to family benefits. For most people, the government’s household assistance package will cover, and in many cases exceed, any price rises passed on by businesses. “Our Clean Energy legislation will also deliver fair and generous assistance to householders while giving certainty to business and investors about Australia’s move to a low pollution economy,” Gillard said. But the carbon price remains unpopular in the community. Leader of the Opposition Tony Abbott of the Liberal Party, calls it a “carbon tax,” not a carbon price and maintains it is the wrong move for Australia, as he has for the past 12 months. 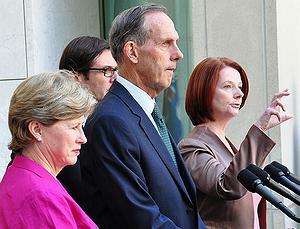 “Today Julia Gillard and the Labor Party have confirmed in law their betrayal of the Australian people,” said Abbott. Modelling by the Treasury Department shows the carbon price will reduce emissions and drive investment in clean energy while ensuring the economy continues to prosper, with 1.6 million jobs to be created by 2020. Some of those jobs will be in clean energy industries. Today’s passage of the federal government’s package through the Senate was the start of a new era that will transform Australia’s energy supply, said the clean energy industry’s trade association. Clean Energy Council Chief Executive Matthew Warren said today marks the beginning of a shift in the way Australians generate, deliver and consume electricity. “This is a historic day for Australia and for the energy sector more broadly. Not only does it signal to the world that our country is committed to playing its part in reducing its greenhouse gas emissions, it heralds a new dawn for Australian innovation in clean energy,” Warren said.